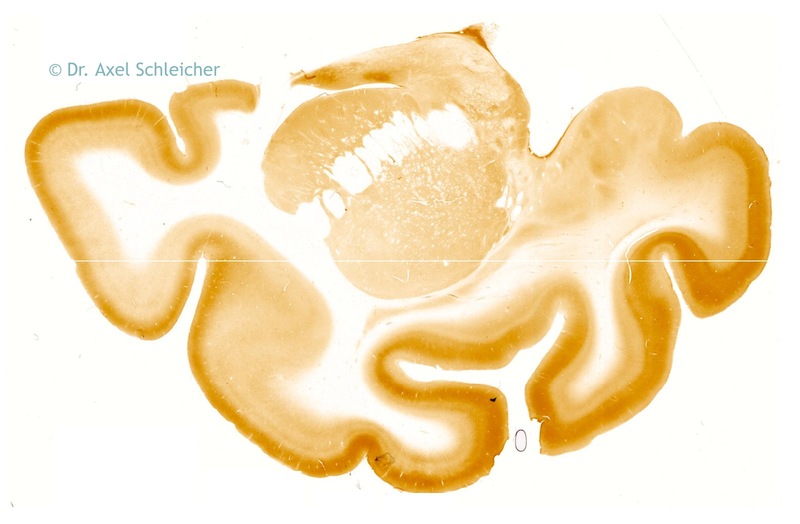 Dr. Axel Schleicher captured this cross section image of the brain while working for the Institute for Brain Research, University of Dusseldorf. Using a biological microscope and a ProgRes camera for excellent color reproduction and high resolution, this image was captured. Front cut through the brain hemisphere of a Rhesus-Ape-Immune-histochemical presentation of NO-receptive Guanylylcyclasis.